1. 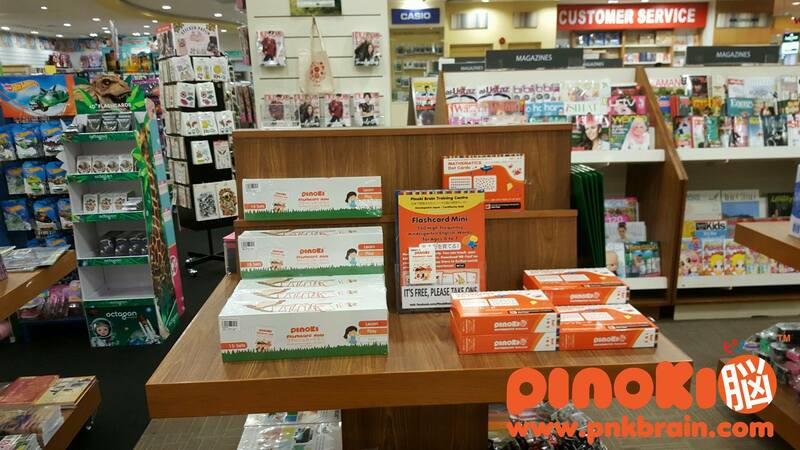 Pinoki flashcards are now available at the following MPH bookstores: One Utama, Mid Valley, Publika, Nu Sentral, Bangsar Village, and Subang Parade. 2. Download our learning companion apps: KE-TEST and DOT-TEST on your iPad to enrich your kid's learning experience. 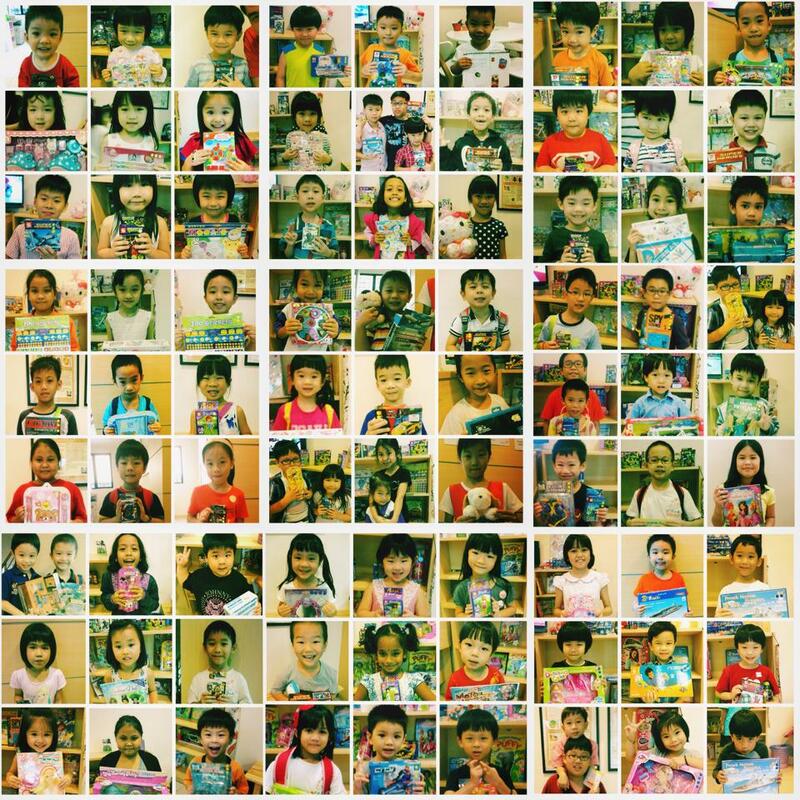 Pinoki Flashcard Mini for Kindergarten English contains 750 English words that student should learn before entering Primary Year 1. For more information, kindly visit www.pnkbrain-product.com. 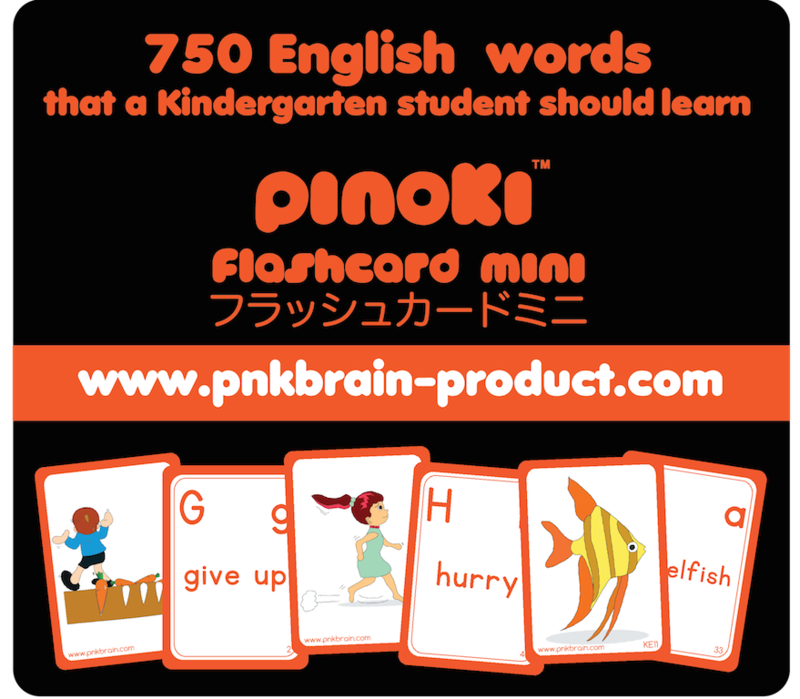 Kindly watch Flashcard Mini Product Tutorial Video on www.pnkbrain.com. 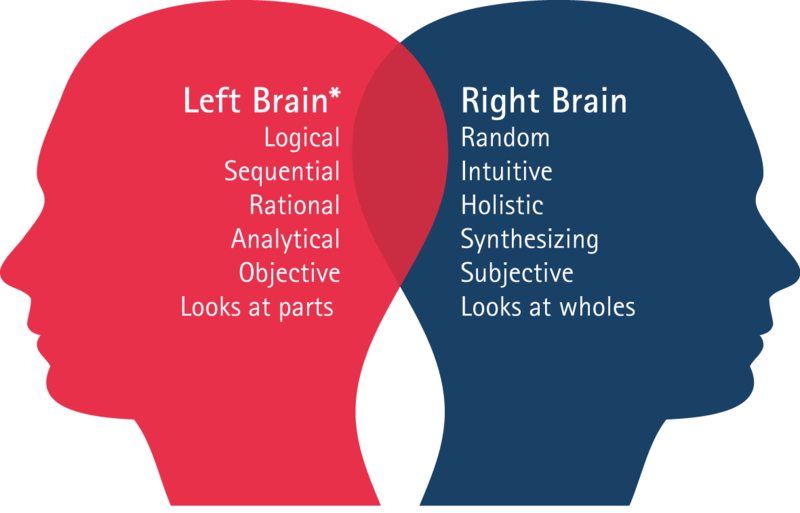 "Is my kid Right-Brain or Left-Brain oriented?" at 11am! FREE Brain Fitness Evaluation after the talk. Train Your Kid's Brain How To Feel Good and Maximise Its Potential - Start YOUNG. Limited to 15 seats only! Pre-registration is now open. First come first serve. 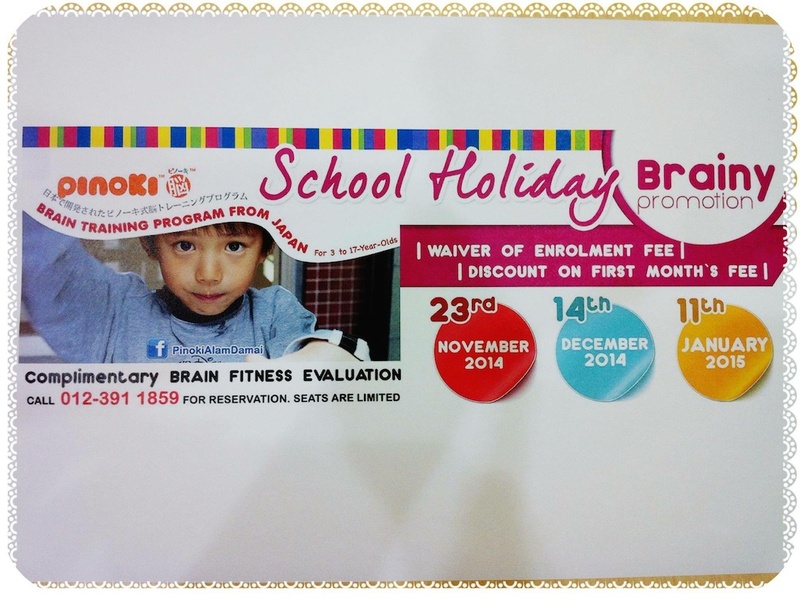 Call us to reserve your complimentary brain fitness evaluation and find out about your child's learning style. Seats are limited. Enrol on our Activation Sundays and receive free waiver of registration fees worth RM50 and discount on the first month's fee! Improvements in students who have undergone Pinoki Brain Training Program. Your child’s brain fitness and learning style. 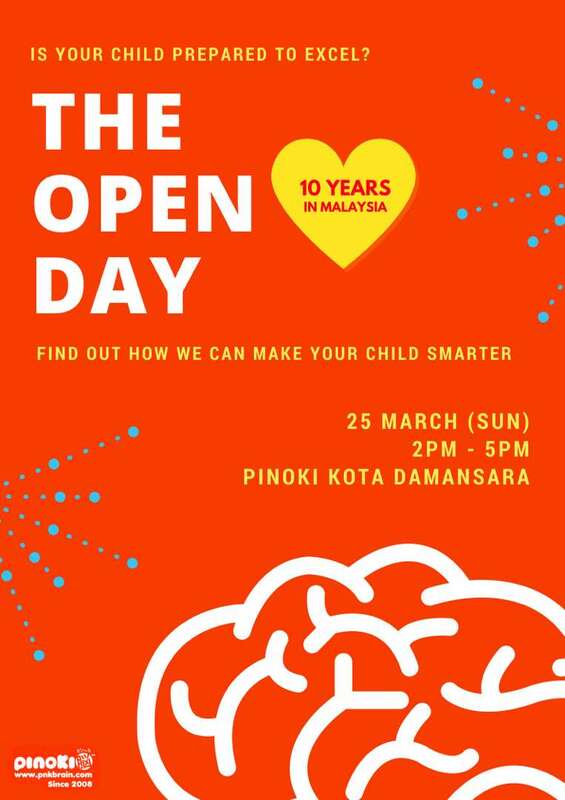 RM50 discount for enrollments on Info Day. Passionate & professional team of Brain Trainers. 1st Pinoki Whole Brain Contest (PWBC) for 5 to 17 years old. 2nd Floor, No. 2, Jalan Perubatan 2, Taman Pandan Indah, 55100 Kuala Lumpur (same row as Secret Recipe). Parents are welcome to sit in to observe your Pinokids' performance. 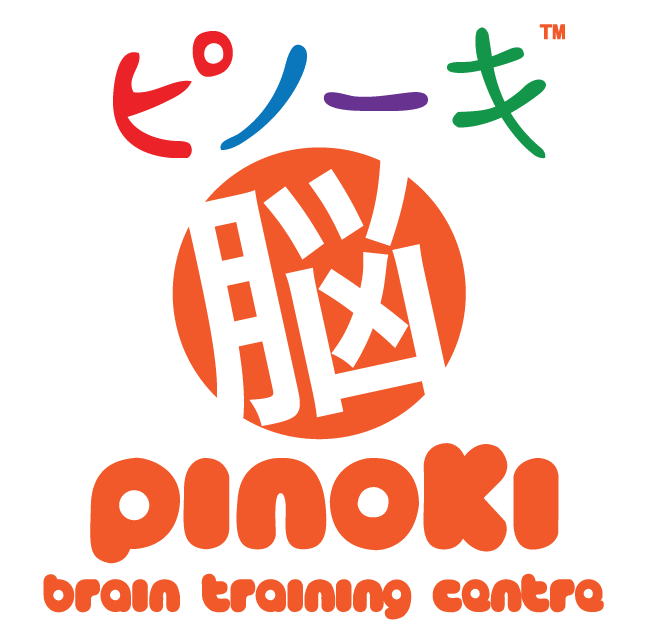 Please register at the counter at Pinoki Brain Training Centre (Headquarter). For more information, please visit www.pnkbrain.com. - Limited Free One-to-One Brain Fitness Evaluation for children aged 3 to 17. "Play and Learn, Learn and Play!" Limited free-enrolment tickets + free evaluation will be distributed from 10am onwards. For more information, kindly call 012-3911 859.